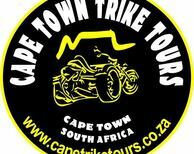 An amazingly scenic trike tour for two along the world famous Cape whale route to Hermanus. We depart from your hotel or guest house in the city centre at 09h00. We’ll take a stunning ride down the N2 motorway towards Somerset West, Strand and Gordons Bay. From there we hop onto Clarence Drive, rated as the most scenic marine drive in the world and you will see why it has earned this rating. We will stop for a photo shoot or two along this amazing route. Next, we’ll stop at the Drummond Arms in RooiEls for a drink or two or a cup of coffee. We then ride via Betty’s Bay to Kleinmond, a stunning little seaside village with white beaches and lagoons for a photo stop and a chance to stretch the legs. We ride further to Hermanus, rated as the best land based whale watching site in the world, and stop for there for lunch. If we’re lucky and it’s within season (July to November), we’ll get to see the whales frolicking in Walker Bay. From Hermanus we begin our return trip via Botrivier, over the HouwHoek pass, stopping at the historic HouwHoek Inn for an afternoon drink or six. We then ride past Grabouw, South Africa’s apple capitol, stopping on top of Sir Lowry’s Pass for a photo shoot that will take your breath away as the views are simply stunning. We then start our final leg of the tour as we travel down along the N2 back towards Cape Town and to your hotel or guest house where we will unfortunately will have to part our separate ways.